Moved to Italy, signed by Benetton Basket Treviso for the 1999-00 season. Moved to Germany for the 2000-01 season, sent on loan to DJK S. Oliver Wurzburg. Moved back to Italy for the 2002-03 season, signed by Benetton Basket Treviso. Signed for the 2003-04 season by Teramo Basket. Moved to Ukraine for the 2004-05 season, signed by BC Kyiv. Moved to Russia for the 2006-07 season, signed by Lokomotiv Rostov. Moved to Spain for the 2014-15 season, signed by Valencia BC. Won the 2004-05 Ukrainian National Championship with BC Kyiv. 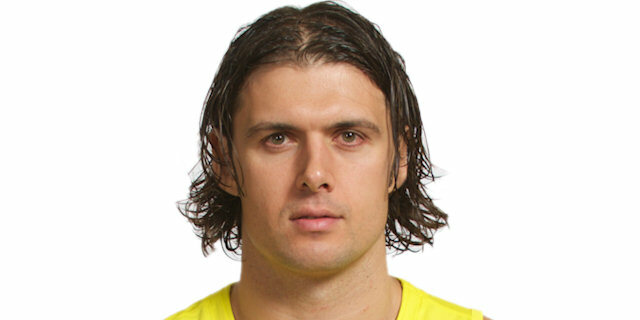 Named the 2009 Russian Cup Final MVP. Played the 2005, 2006, 2007 and 2008 FIBA Euro Cup All Star Game. Led the 1999 European U-16 Championship in rebounding (15.3 rpg.). Won the silver medal at the 2000 World U-20 Championship.